Greifensee, Switzerland — 10 May 2013 — Finding the right solution for hazardous weighing practices is a difficult task. To assist manufacturers across a number of industries, METTLER TOLEDO has published the Hazardous Area Catalog. This free catalog offers solutions for the chemical, pharmaceutical and food industries with hazardous environments. To help make important purchasing decisions regarding hazardous areas, the Hazardous Area Catalog includes all hazardous area products in one place with added guidance regarding regulations and safety for manual and automatic weighing terminals; high-precision scales; load cells; truck scales; and more. 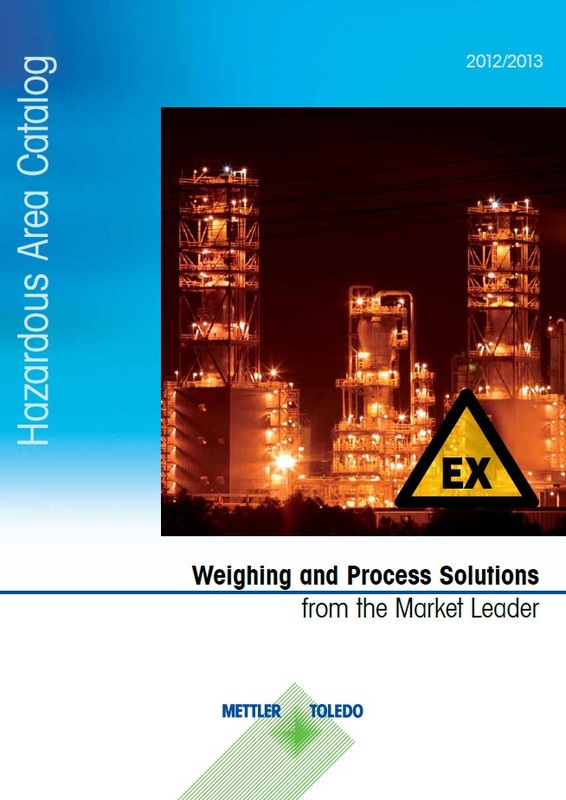 “When it comes to meeting regulatory requirements and providing highly accurate and appropriate weighing equipment for hazardous areas, the Hazardous Area Catalog explains all of the important information in an easy-to-understand way,” says METTLER TOLEDO Market Manager Steven Wise. “METTLER TOLEDO weighing equipment is built with compliance, efficiency and quality in mind to protect customer’s investments, increase profits while enhancing product quality and productivity,” he says. Order your copy of the Hazardous Area Catalog today. For a copy of the catalog, visit www.mt.com/ind-hazcat.